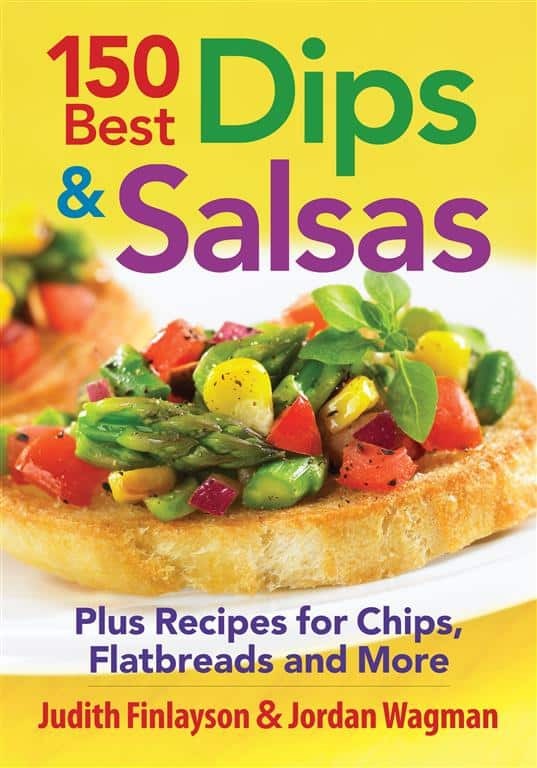 The holidays are coming and I love a great cookbook like the one I have for you today, 150 Best Dips and Salsas by Judith Finlayson and Jordan Wagman. 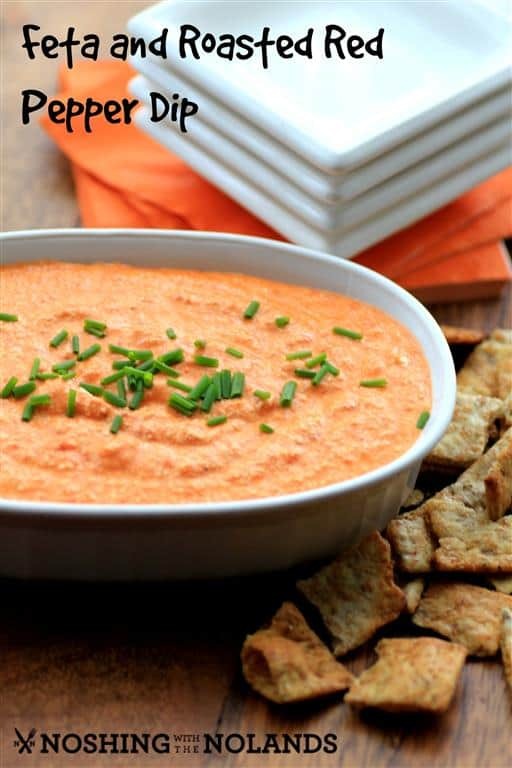 Filled with great recipes like Feta and Roasted Red Pepper Dip. So easy and so delicious, only 3 ingredients, WHAT!! Love recipes like that. Dips are a great way to start a party off. People seem to gather around, dip, munch and talk. They are a great catalyst to getting a party off the ground. Dips and salsas are also great because most can be made ahead of time. Plus they can take you from appetizers right through to dessert. They can be vegan to omnivore, salty to sweet, spicy to sour, they are also simple and made with fresh ingredients. In a hurry? Need a quick appetizer, you may have these ingredients already or you can find them very easily. It only takes 5 min. to whip up and it healthy and delicious! The cookbook is filled with great recipes for Dips and Salsas. 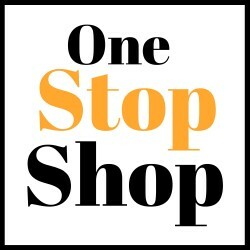 Recipes like Sumptuous Spinach and Artichoke Dip, Nippy Oyster and Bacon Dip, Pineapple Mango Salsa, Black Bean and Salsa Dip and Champagne and Raspberry Dip. All of them are great for the holidays!! About the Authors: Judith Finlayson is a bestselling author who has sold over a million cookbooks. She resides in Toronto, Ontario. Jordan Wagman was nominated by the James Beard Foundation as a “Rising Star in North America”. She resides in Toronto, Ontario also. 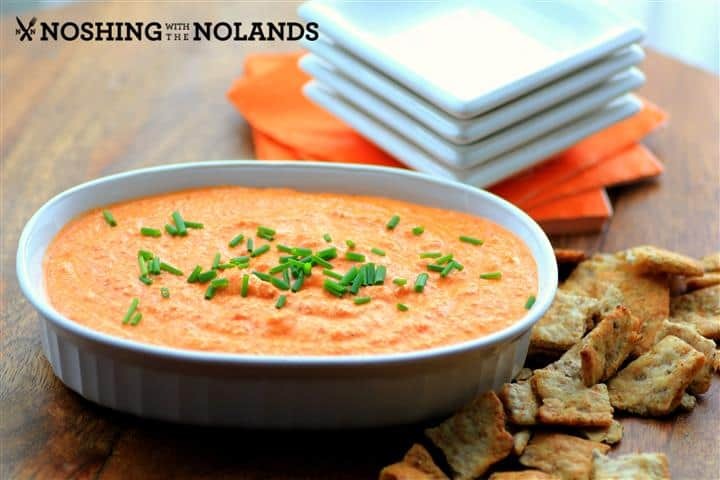 If you have the ingredients on hand, this tasty dip can be ready to serve in about 5 minutes. 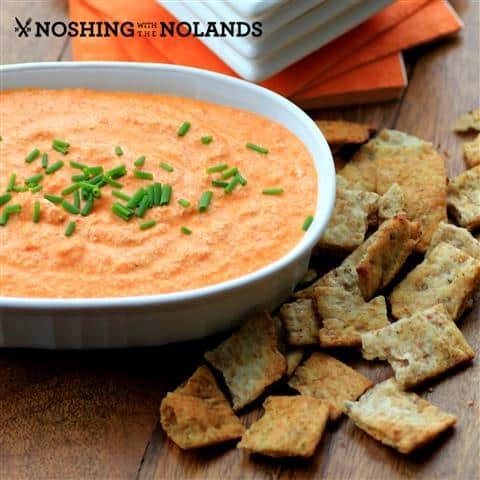 Serve it with crudités, crackers or pumpernickel rounds for an elegant appetizer. 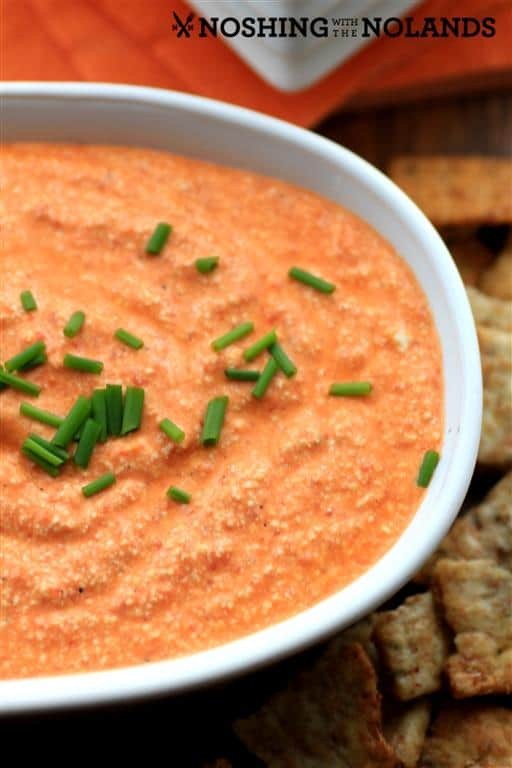 In food processor fitted with metal blade, process feta, roasted peppers, and hot pepper sauce, if using, until smooth, about 30 seconds, stopping and scraping down sides of the bowl as necessary. Transfer to a bowl and serve or cover and refrigerate for up to 3 days. If refrigerated allow to stand at room temperature for 20 minutes before serving. Use creamy feta cheese (about 26% M.F.). The lower-fat versions produce a drier dip. If your results seem dry, add 1 tsp (5 mL) or so of extra virgin olive oil and pulse. Courtesy of 150 Best Dips & Salsas by Judith Finlayson & Jordan Wagman 2014 © www.robertrose.ca Reprinted with publisher permission. Available where books are sold. This dip sounds so delicious and guilt-free. I’m looking forward to trying it when my family visits. We always have dips in the fridge. They’re perfect if someone drops by but to be honest, we just love eating them. John will often have dips with pita crisps or raw vegetables for lunch. This one’s a winner. Selling a million cookbooks is quite an achievement. G’day looks great Tara! I want to dive right in! What a healthy holiday party dip! I love the pairing of feta with roasted red peppers! Thanks so much Linda, it really is so good too! Great party Dip! I am always looking for something new to try!